Occasionally a film comes along that captures an honest slice of American life with performances so authentic that you forget you're watching a movie. This is just such a film. The competition days of a rising star of the rodeo circuit are over following a riding accident, and he finds himself wondering what he has to live for, when he can no longer do what gives him a sense of purpose: to ride and compete. In an attempt to regain control of his fate, he undertakes a search for new identity and tries to redefine his idea of what it means to be a man in the heartland of America. 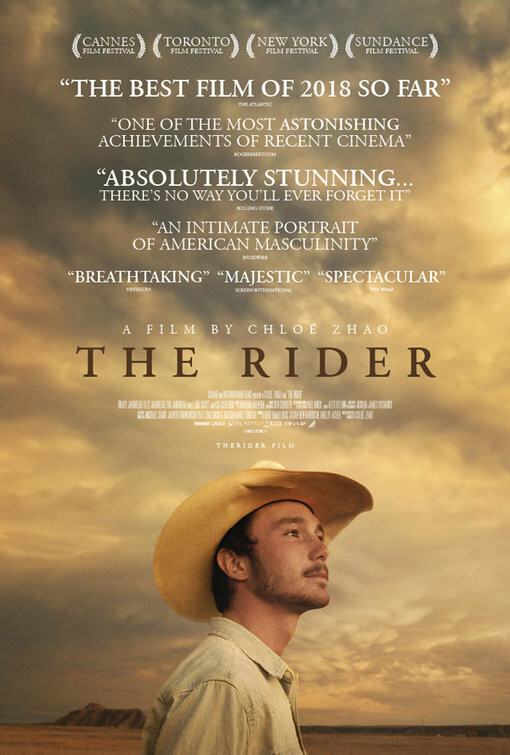 A complete surprise and a masterpiece in every way, The Rider is an incredibly compassionate, beautiful, humane piece of work from the talented Chloe Zhao and is not to be missed.